I consider myself to be a Charlotte Mason enthusiast, and most of my friends share my love for all things Mason. But lately I have realized that sometimes my enthusiasm is the thing that prevents me from sharing her great and beautiful ideas. As I have grown in knowledge and understanding, my vocabulary has changed in an unexpected sort of way. I have started to speak in what can seem like a secret language. I mean a particular thing when I say “narration” or “habits” or “discipline.” I speak of publications that are no longer in circulation: Parents’ Review, L’Umile Pianta. I refer to certain kinds of ideas as “principles” and I say one woman’s name all the time. In my eagerness to tell about Charlotte Mason and her excellent ideas I sometimes overshare. I sometimes get a little preachy, and though it is totally unintentional, I am afraid that I sometimes come off as a little judgemental. But these ideas can do so much good! My friends at church, my neighbors, my family members—if they could only understand all Mason’s ideas, they would be on board. Right? Maybe. Or maybe not. I believe that I am called to home educate, so if I am called, that must mean that some people are not. And though I truly believe that Miss Mason’s methods are the best way to educate children, that doesn’t mean all children will do poorly if they are educated with a different philosophy or if they attend school outside the home. It doesn’t mean that every mother will have the patience or the discipline or even the desire to direct one or two or twelve children through school. And some families simply cannot afford to have one parent stay home to teach. Does Charlotte Mason have anything to offer these families? Do I really have anything to share with these families? Yes! There are so many beautiful ideas to share. 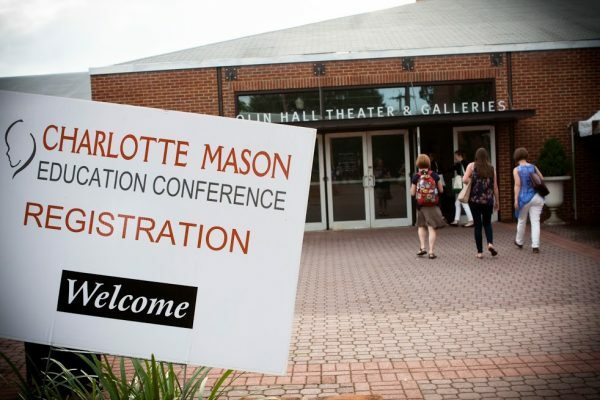 Charlotte Mason took true ideas and applied them to the education of children. When education (as we commonly refer to it) is taken out, we are still left with true ideas. Those of us who know the philosophy know that education doesn’t end when the bell rings or at graduation. If we can relate these true ideas to everyday life without talking about homeschooling, without saying Charlotte Mason’s name, quoting her or using our Mason lingo, we can begin to share with people who will never homeschool and are unlikely to ever read one of Mason’s books. Every individual idea accepted will reap a harvest of its own. Probably the best way, the easiest way, to share these ideas (because I am doing it anyway) is simply to be diligent myself in following Mason’s methods with my family. Though my oldest is not yet ten, all of my children are already bearing some fruits of a Charlotte Mason education. And people are noticing. They see that my children are observant and interested in the world around them, that they can express themselves with clarity, and wit and that they are free under authority. I am in no way parading my children or their accomplishments, but these things that we do as a matter of lifestyle make an impression on others, sometimes creating an opening for conversation or maybe just planting a seed. When I first began to really consider that homeschooling might be the right thing for our family, I knew the first obstacle would be to convince my husband. We had two tiny girls in daycare and we both worked. Homeschooling would be a complete change of lifestyle. So I prepared my case with statistics and a list of the benefits only to find that my husband, though he had never considered it before, was happy to give homeschooling a shot. And not because of my stellar powers of persuasion. He had a coworker a few years prior who homeschooled, and his wife, a very friendly and warm person, would shop in the store with the children. In those short visits to the store my husband would learn a little about the books they were reading and the interests the children had. Though infrequent, these chats were enough to make a strong impression on my husband. When I approached him with my proposition I found that the ground was already prepared and the seed sown. He was willing to give homeschooling a try because he had seen what was possible, not because he was bombarded with information. If home education is the path to be taken, I believe that Mason’s methods work best when followed earnestly and faithfully, but when homeschooling is out of the picture, we have to think of Mason’s ideas separately and share them individually as they apply. Several months ago in a church meeting I made some propositions to change a few things in Sunday school. My church is small and there are only a few families who homeschool; we are the only ones using Charlotte Mason’s method, but there was agreement that some changes would be good, and a few of my ideas were readily accepted. I was allowed to speak during a meeting of the Sunday school teachers, and I didn’t say Charlotte Mason’s name once; instead, I shared ideas and offered a plan of action. The first idea I wanted to convey is that God touches every part of life (the idea of principle 20). We are not only Christians on Sunday; our love for Christ should be reflected in everything we do. And more than that, every field of study, every kind of honest work, every living thing can show the majesty of the Creator. I encouraged the teachers to think of their own lives and share them with the children. Is there something in their job or experience that would show the children how God holds all things together, continually working in our lives? Instead of a focusing only on the Bible story, memorizing the facts contained, maybe the teacher could share a story from his own life related to the Bible passage read. Maybe he could tell something about the geography of the region studied or give an object lesson to show how God’s laws govern the universe. My hope for that meeting was just to plant a seed, to change perspective, so that teachers could move beyond the curriculum and reach for the hearts of the children. The plan of action I presented was based on two more of Charlotte Mason’s ideas: first, that children should have direct access to the Bible, and second, that they should learn history in chronological order. In years past, the different ages studied different stories and books of the Bible. Over time this meant that some children got the same stories over and over, missing others entirely, and the big picture, the wholeness of the Bible, was fragmented and indiscernible. Working together with church leadership, we came up a new schedule through the Bible. We put all the school-aged children on the same schedule with the hope that it would encourage family discussion. And it is working! My own children, who have Bible as part of their daily lessons and Bible stories read at bedtime, are now giving excellent and voluntary narrations of Sunday school lessons. They are excited to tell me about the additional connections they are making in history and between Bible stories. And every now and then they have a funny story to tell from a teacher who related the lesson to life by sharing his own experience. Another big idea I have been able to share with my church is that of living books. We moved recently to a different county, the same county our church is in. I looked online at the public library database to see what books might be useful for Sunday school teachers. I was shocked to find that there was nothing. I couldn’t find any of the Christian picture books, nature books, or missionary books I could think of. Meanwhile I had a shelf full of them. I suggested the idea of a church lending library where people could donate and share their own books, but I had no idea how that might work out in practice; I was just throwing out the idea. And God made up for my lack of technical know-how when I mentioned the idea to a friend at church, a friend without any children of her own who, it turns out, is a librarian at a university. With in a week she had set up a library database, and a couple of weeks later we had our first “library day” at church. Now parents and children will have access to quality living books with a Christian perspective. By simply offering what is good, without any talk of philosophy, the families are being introduced to living books and will hopefully develop a taste and a love for them. Charlotte Mason’s ideas are filled with truth. She covered just about every angle of human life. Taken in its entirety, the philosophy bears abundant fruit, but we can still reap a harvest even when we break it down and use it in small pieces. This summer at the CMI Conference I am excited to share in detail what we have been doing in Sunday School, how the library is set up, and what a difference Mason’s ideas can make, even in a setting that has not fully adopted her philosophy. Don’t be afraid to share about Charlotte Mason anywhere you can; throw out seeds wherever you are able—just don’t let homeschooling or her name become the thorns that choke the plant.